We’ve had two months of sprints, so now it is time for a larger workshop! 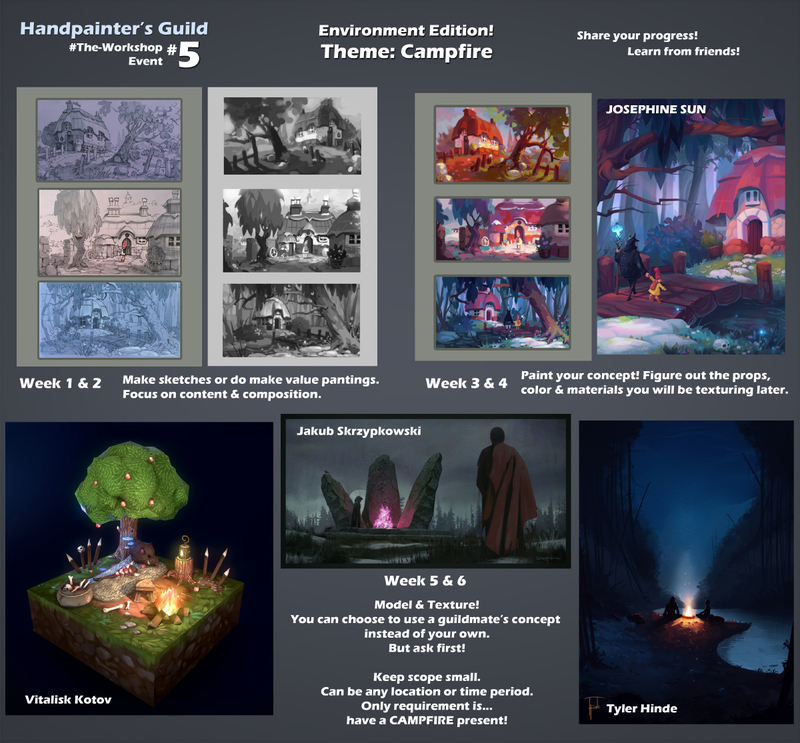 For the month of March we’re going back to the more traditional month long workshop. These longer workshops will be more in depth and allow you to focus on one project as opposed to multiple short turnarounds. For this month we’re going to create a character bust. This is commonly from torso/shoulders up, but feel free to make it how you want. You can go as simple or complex as you desire with constraints so long as the end product is diffuse only (Alpha is ok too.) As for the character that’s up to you as well. It can be a rouge’ish humanoid, a sultry robot, or even a dog that fancies himself a chef! 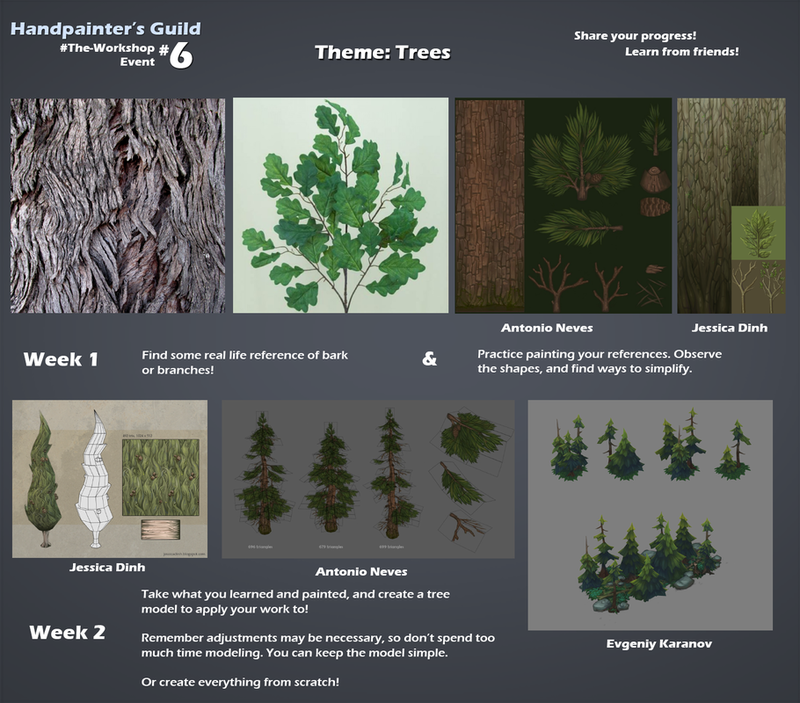 Feel free to post your progress in #the-workshop where you can give and receive focused critiques. Don’t forget to gather and show reference so that we can more accurately critique your work. 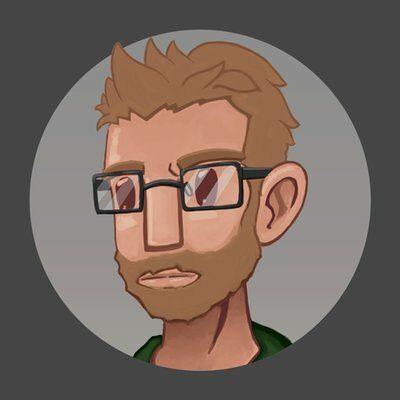 That being said, your reference does not have to match what you’re making but is more of a style guide so we know where you would like to land. 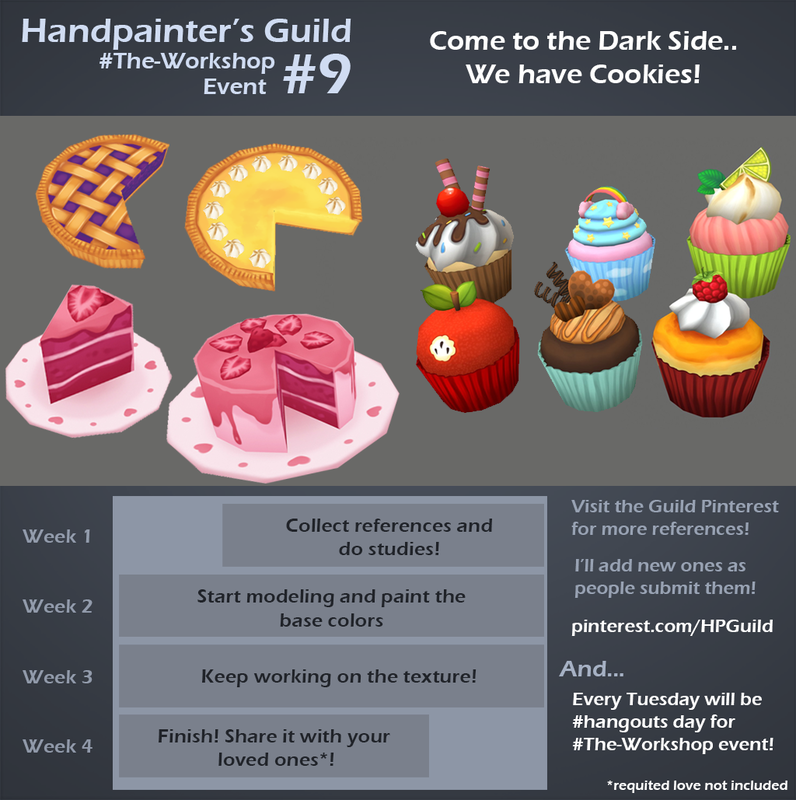 If you’re unsure about the Workshop and what’s allowed, you can contact the @Guild Associate ! Also, check the pinned messages in #the-workshop for complimentary models you can use if you want to get started right away. 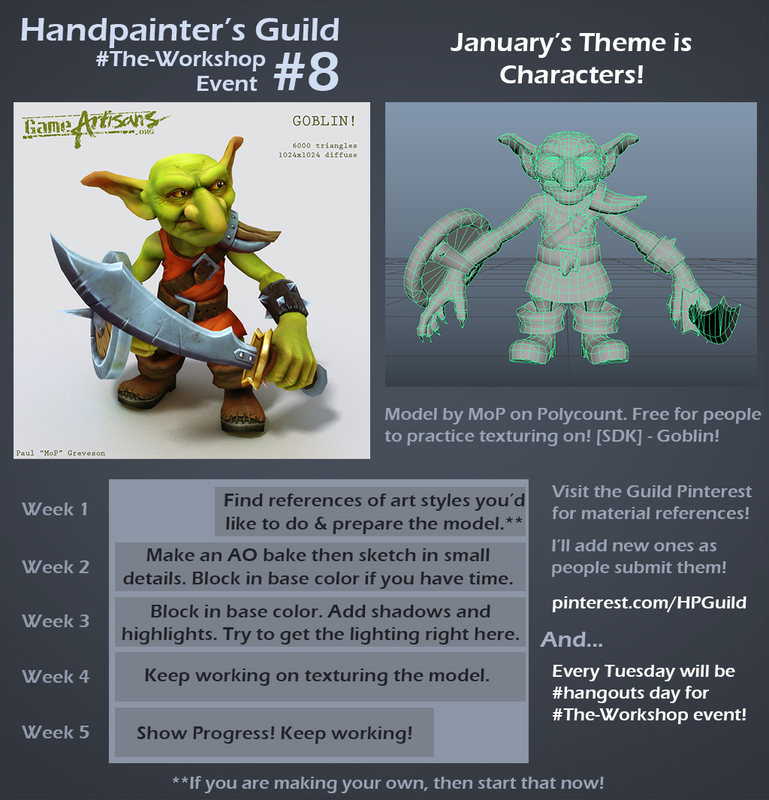 February workshop time! For this month we’re going to focus on Weapon Tiers. 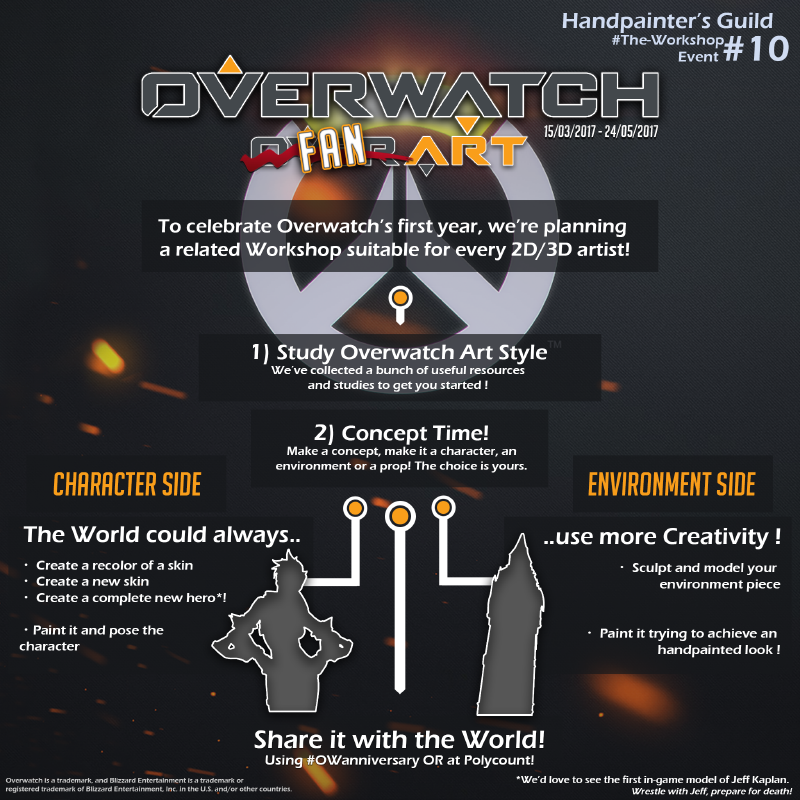 Starting on February 1st feel free to post your progress in #the-workshop where you can give and receive focused critiques. Keep your projects simple! The goal is to practice new things, learn, and move on. You can make a new weapon each week or expand on a common theme through the month. If your time is limited, feel free to drop in any time and pick up the weeks topic. It’s workshop time! As promised we’re going to start off the new year right with our very first Sprint format. 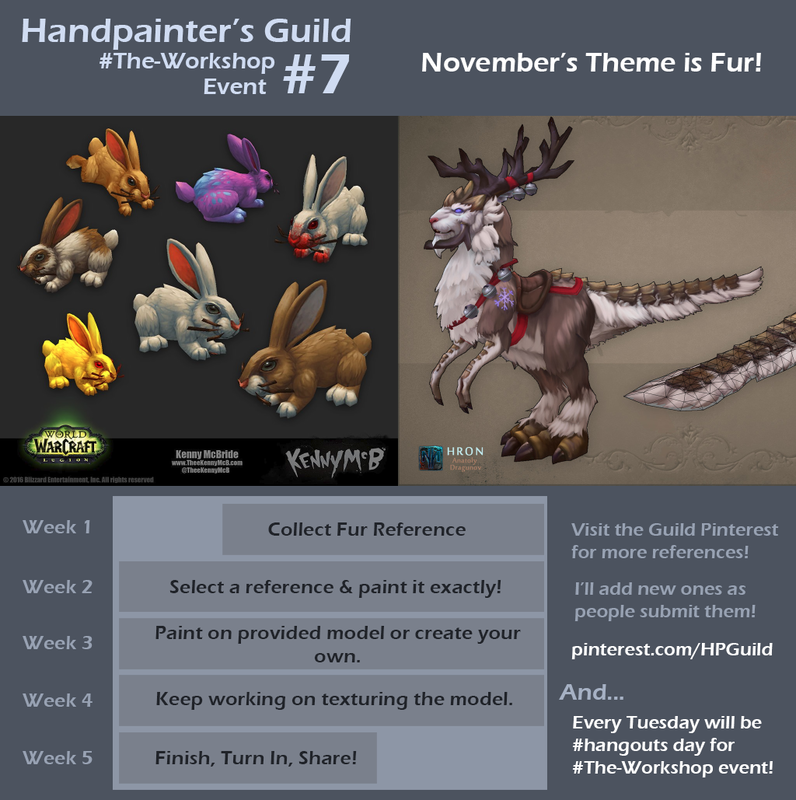 Starting on January 1st feel free to post your progress in #the-workshop where you can give and receive focused critiques. Keep your projects simple! The goal is to practice new things, learn, and move on. Your objects can be made of more than stone but try to keep to the 70/20/10 rule, with 70 being the focus. A stone weapon might have a leather grip. The well might have a wooden bucket. Lastly, have fun, good luck, and let’s all have a HAPPY NEW YEAR!